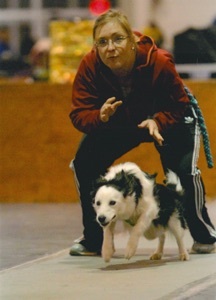 Sookie was a wild child Border Collie who made her debut at the Clean Break tournament in March 2011. Because of her antics in the ring, she did her box warmups on a long line. 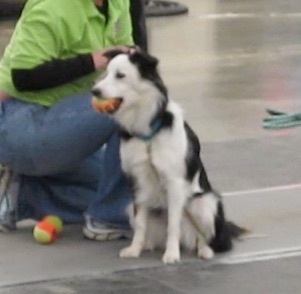 She has become one of our flyball stars.